Fish Oils contain long-chain fatty acids including docosahexaenoic acid (DHA) and eicosapentaenoic acid (EPA). 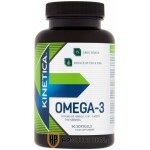 DHA and EPA are omega-3 fatty acids with important roles in numerous metabolic functions. They are found in foods like salmon and supplements such as the ON Fish Oil Softgels you're holding in your hand. Our Fish Oil Softgels are enteric-coated, which means that you get the benefits of fish oils without the fishy aftertaste that you might encounter without this special coating. What Do Optimum Nutrition Fish Oils Do? When you’re training hard, your body has greater nutritional needs. It’s not always possible to source these solely from your diet every single day. 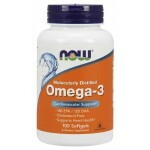 Fish Oils contain long-chain fatty acids, including the essential fats DHA and EPA that cannot be made by your body. Consuming them through foods like salmon or mackerel and supplements such as the Fish Oil Softgels is the only way to guarantee that you’re meeting your body’s requirements. When Is The Best Time To Take My Optimum Nutrition Fish Oils? Our Fish Oil Softgels are enteric coated, which means that you get all of the benefits, but without the unpleasant fishy aftertaste that you might encounter without this special coating. We recommend taking 1 Soft gel three times per day with a main meal or with your protein shake. What is in Optimum Nutrition Fish Oil? 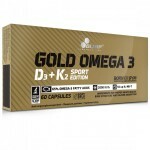 OLIMP GOLD OMEGA 3 SPORTS EDITION - 120 .. 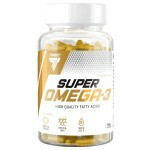 Tested Nutritio Omega 3 6 9 - 180 Softge..
NOW Molecularly Distilled Omega-3 (1000m..
TREC SUPER OMEGA-3 contains ocean f..
Universal's Fish Oil contains the purest.. 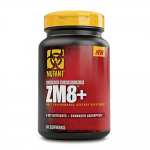 Fitness Authority ZMA - 90 Capsules ..
Kinetica Omega 3 Fish Oils - 90 Softgels..
Biotech USA OMEGA 3 90 Softgels OME..
Udo's Choice Ultimate Oil Blend Organic ..
Mutant Core Series ZM8+90 CapsMUTANT ZM8..
GOLD OMEGA 3 D3 + K2 SPORT EDITIONEnsure..
OLIMP GOLD KRILL OIL 30 CapsGold Krill ™..